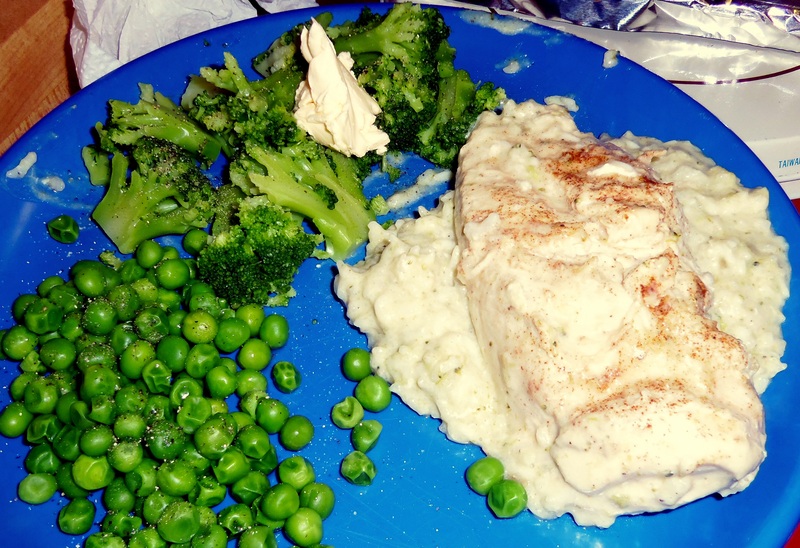 Baked Chicken, Broccoli and Rice | Mommy, I'm Hungy!! I made another good dinner tonight that everyone seemed to like. Again, I found it on Pinterest, and it came from Recipe.com. I love chicken and rice and have made several different recipes over the years and thought I’d try this one. It was so quick and easy to make and only took about 5 minutes or less to put together. It was pretty yummy and the rice really had good flavor due to the cream of broccoli soup. Stir the soup, water, rice and black pepper in a 2 quart shallow baking dish. Top with the chicken. Sprinkle chicken with paprika. Cover the dish. Bake at 375* for 45 minutes or until chicken is cooked through and the rice is tender. Here is my yummy dinner!! Let me know if you get a chance to make this and how you like it! !